On April 19, I will be hosting the first annual SheRose Awards. Survivors will come forward with their stories of overcoming sexual assault and then be honored for their courage in ending their silence. 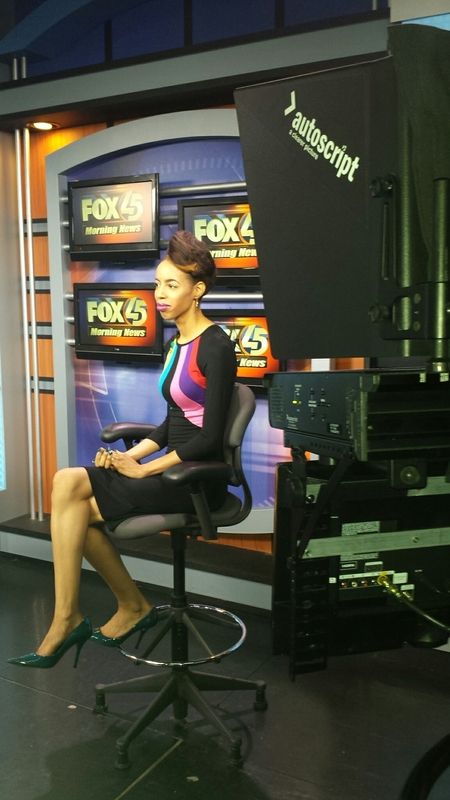 I had the opportunity to share my event on FOX 45 News. This dress, named “Lifesaver” by LKGE Boutique, had a little teal (the cause color) in it. Perfect dress as the SheRose Awards aims to save lives. Dress: LKGE Boutique. Shoes: J.C.Penney. This entry was posted on April 13, 2014 by LaQuisha Hall in Dresses, OOTD.